Having your piano voiced is an important part of caring for your piano. It affects the tone of the piano in a very major way. Another name for voicing is tone regulation. If your piano is too mellow or bright for your taste, or even individual notes, I can address this for you. It is important to keep in mind that each piano has its limits. Spinet and Console pianos have short strings, high inharmonicity, and will never sound like concert grands, no matter what. Hard hammers causes the piano to have a bright, even harsh tone. Soft hammers create a more mellow tone. 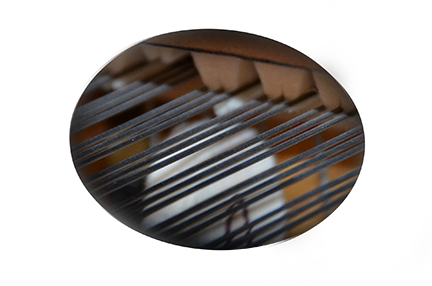 While tuning your piano, a qualified technician will be able to determine whether a voicing service is needed. The technician will also be able to demonstrate immediate results depending on the severity of the problem. Piano hammers harden over time, as the felt gets compacted.